Business Intelligence and data are here to stay. Now with Power BI by Microsoft, costs and skills are no longer a barrier to entry. Power BI is a self-service business intelligence system, and best of all, it is free for all to use. The aim of this class Power BI - The Ultimate Orientation is to give you a solid orientation of Power BI. First you will learn how to download and install Power BI desktop. We will have a look around the user interface and then we will start to work with some data. Using an example data set, we will connect to both Excel and CSV files and you will get an introduction of the Query editor as we do some transformation on the data. Then we will move on to a few calculations and you will be introduced to the concept of relationships and DAX. Finally in Power BI desktop we will look at the visualizations side. After we look at visualizations in Power BI Desktop we will move on to power Bi services. It’s in services that you will get insights, have the ability to share reports, build dashboards and connect to data packs that contains prebuilt dashboards and reports. This course is an orientation course, designed to get you familiar and comfortable with the Power BI user interface. The aim of the course is to get you up and running. 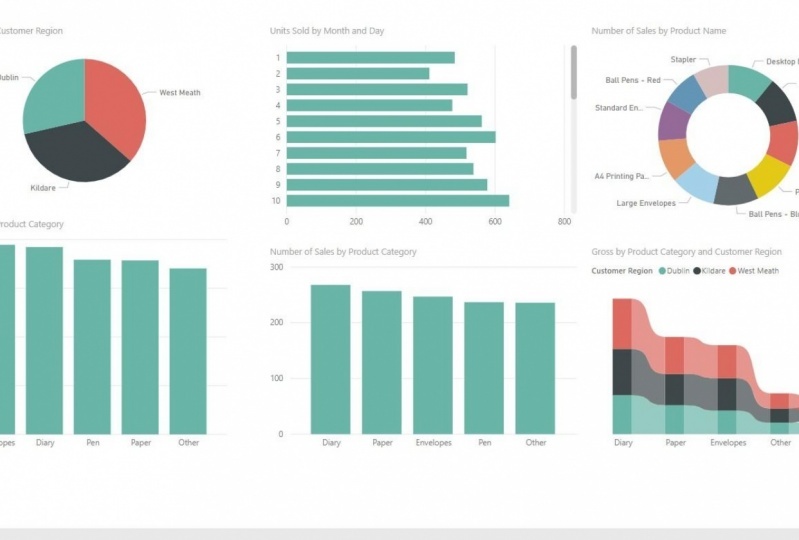 To show you that Power BI offers a real solution, and give you ideas of how it can be used.